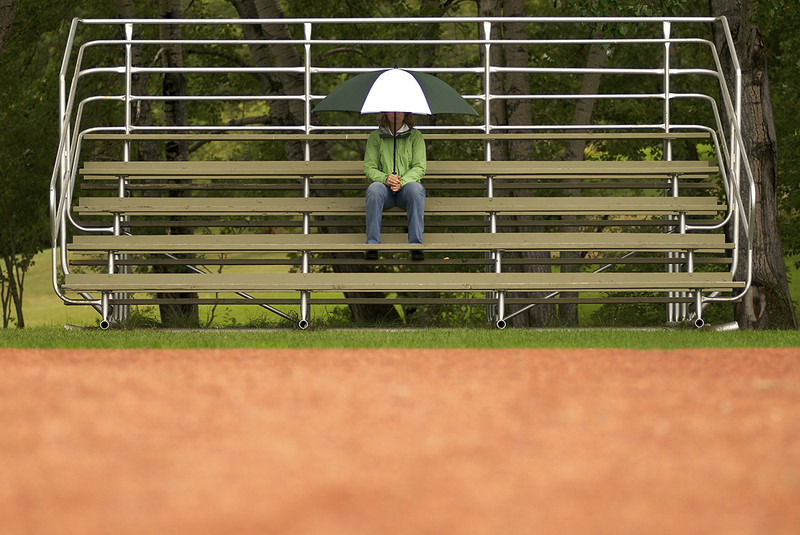 As a coach for youth baseball teams in the past, rain was a constant concern for both games and practices. If it rained hard enough, I would have to cancel a practice or call off a game. The hardest part, though, was how to notify the players on my team in a way that ensured everyone knew what was going on. The best I could come up with was a phone tree – three columns of the names and phone numbers of the players on the team. I’d call the top players in each column and would rely on them to call the next person in their column, who would then call the next person and so on. Ideally, I would receive a call from the bottom kid on the list so I’d know the calls had been completed. It worked – sort of. Almost always, at least one kid would be skipped because he didn’t answer his phone or, even worse, the calling chain would break down at that point and no one below him would be called. That meant I often made extra calls. This became especially frantic if the rain started shortly before game or practice time. Fortunately, a lot of that frustration is eliminated with CallingPost’s automated phone messaging system that allows coaches to reach all of their players with just one phone call. After setting up a group with all the players and their phone numbers, the coach simply records a message and with the push of one button, sends it to everyone. The coach can choose to do it by voice, text or email – or all three! The phone app also gives you feedback of when the message is delivered and when the players in the group have seen it so you’ll know that everyone knows what’s going on. Rain may still play havoc with your scheduling, but at least getting the word out to your players won’t be a hassle anymore if you use CallingPost. For more information about CallingPost’s automated phone call system and how it can help make your life as a coach easier, check out CallingPost.